If you have a child that is of school going age and is studying between grades 8 and 12, we have the ideal solution to supplement his or her studies! If he needs the extra revision or wants to excel and achieve higher grades, now he can!! As a subscriber, you receive a login password that entitles your child to access information that supplements what he is studying. For example, he may want assistance with English nouns, or Mathematics multiplication. To find out more, he would login and enter these terms in the search facility provided. He would then click on the result links to read up more about these topics. So we delve into as much detail as is necessary, to ensure that the student understands the topic thoroughly and can master it via the different tutorials provided. What’s more, there are hundreds of weekly activities that your child can access on an ongoing basis! These are age appropriate worksheets that can be printed out and completed to supplement and improve upon what is being learnt. As the information accessed is educational level appropriate, subscriptions are sold on a monthly basis, per grade. All content is provided by existing qualified and experienced teachers in their respective fields. So it is current, relevant and continually updated, all the time! This ensures you receive the latest and most up to date information that is always at your fingertips! We invite you to try out the system for yourself. Go to www.cyberschoolplatform.com and login as a student with the username – student1@loginteacher.com and the password – loginteacher. Once you have logged in click on “Loginteacher” in the navigation bar. You will then be able to enter a topic to search. We offer from grade 8 – GED® Level 2 and cater for those subjects where students find the most difficulties, including Maths, English, Science, Afrikaans, etc. We often find that students are at different levels amongst subjects within their grade. For example, a grade 8 learner may be battling with English or Maths and may only be at a grade 6 or 7 level for that subject. He therefore needs access to extra assistance, which is offered on a self help basis. All students need access to the internet, as all information will be accessed in that way. 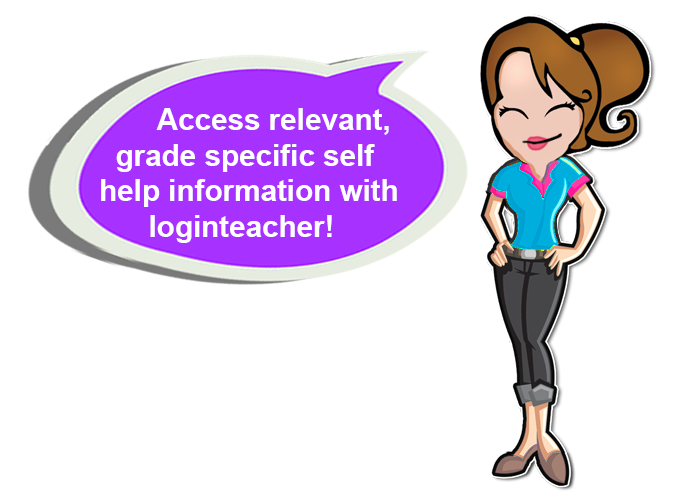 Access to Loginteacher is around the clock so it conveniently fits in with your “on demand” schedule. Students may change the grade level for which they have enrolled if they find the level too easy or too difficult.